MSV: THIS IS OUR TOWN! Some chatter in the comments yesterday about the determinism by Freeholder Anthony "Stick" Romano there's nothing to be done about taxes. Coming from someone who lives in a subsidized housing unit and is a wealthy resident with property and businesses in town, this stuck in the craw of many. Then there's reference to a sign in the window. Well, it certainly does reflect an old standby video from back in the day of the Wiley Coyote. Apparently, some long time residents recall that too. Is this another divisive clarion call to Old Guard voters? 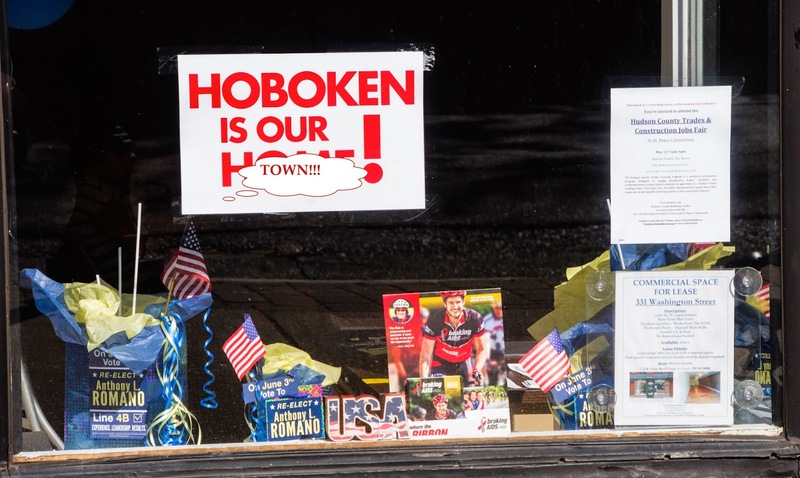 Will Old Hoboken fall in line or will they hear Freeholder candidate Phil Cohen's message that the double digit tax increases from the County are enough? June 3rd is the primary and when we get the answer. It's not the whole message with "Get out of our go&%^$ town" but it's close. Tonight the City Council will meet after the annual Hoboken Memorial Day Parade.